Is golf fun to watch live? I've never been, but I'm starting to wonder after watching Tiger school Padraig Harrington during the Bridgestone Invitational yesterday. For those of you that already know the answer to that question, the 2009 Deutsche Bank Championship is coming to Norton, MA and tix are on sale. The top names in professional golf including defending champion Vijay Singh, Tiger Woods, Phil Mickelson, Adam Scott, Anthony Kim and Lucas Glover are all scheduled to appear at the 2009 Deutsche Bank Championship, one of four PGA TOUR Playoff events. The 2009 Deutsche Bank Championship, one of the most highly-anticipated events on the PGA TOUR calendar, returns to Boston during Labor Day weekend. 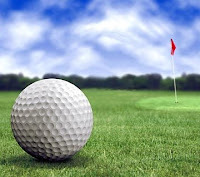 The tournament features four rounds of championship golf preceded by practice rounds and pro-am tournaments. This year’s Championship is part of the PGA TOUR Playoffs for the FedExCup, a four-tournament post-season playoff series where the top PGA TOUR golfers will compete for the single-largest payout in sports -- a $10 million first prize. There are different events going on all week from Sept 1 to Sept 7. 0 Response to "2009 Deutsche Bank Championship - 9/1"